It was toward the beginning of September 2018 that Mahindra had launched Marazzo. 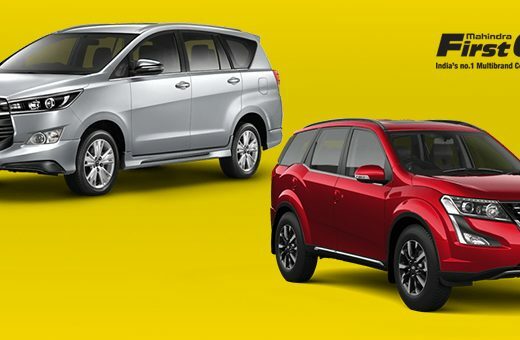 It is a MPV that was in between the Maruti Suzuki Ertiga and the Toyota Innova Crysta in terms of size and cost to attract buyers from the segments. After this, a couple of months later Maruti is set to launch the second-age Ertiga. It has premium interiors and exteriors, another oil motor and greater gear. Both these cars are now competing with each other well. The new Ertiga is longer, more extensive and taller than the previous model. That means there is more space inside too but the wheelbase is same. Though there has been extension in size but the weight of the car is expected to come down because it is based on the lightweight Heartect platform. Though the new Ertiga maybe greater in many ways, the Marazzo effortlessly predominates it as far as measurements. It is strikingly more extensive and taller. That converts into a decent measure of inside space. The length width and height of Marazzo is 4585*1866*1774 mm whereas Ertiga is 4395*1735*1690 mm. The wheelbase of Marazzo is 2760 mm and Ertiga is 2740 mm. The boot space for Marazzo is 190 litres and Ertiga is 153 litres. The ground clearance for Marazzo is 150mm and for Ertiga is 180 mm. The new Ertiga will be the all-new, 1.5-liter, four-chamber K15B petrol motor. The Fiat-sourced 1.3-liter diesel motor will in all probability be extended from the current Ertiga. There is no petrol motor on offer with the Marazzo, and it will probably just be presented by 2020. Presently the 1.5-liter diesel motor is available produces 123hp and 300Nm of torque, and the present gen Ertiga diesel’s produces 90hp and 200Nm. Regarding transmissions, the new Ertiga is relied upon to stay with a 5-speed manual for the oil and diesel variations, and simply like the present gen Ertiga, there will be a 4-speed programmed accessible with the petroleum motor. There’s very little in the method for decision with the Marazzo – there is only a 6-speed manual accessible. Obviously, the Ertiga, being the lighter MPV here, will probably be more proficient. The claimed efficiency for the present gen Ertiga is pegged at 24.52 kpl for the diesel, 17.5kpl for the oil manual and 17kpl for the petroleum auto and the new Ertiga will in all likelihood enhance those figures. The Marazzo, in spite of being altogether bigger, claims to restore t 17.3kpl, still that will probably be no counterpart for the new Ertiga’s efficiency figures. It is expected that the new Ertiga will cost about Rs 50,000 more than the present model. The ex showroom price of Ertiga for petrol engine costs Rs 6.8 lakh to 9.3 lakh and for diesel engine is 9.4 lakhs to 11.3 lakh. The Marazzo has only the diesel option and the ex showroom price is Rs 9.99 lakh to 11.3 lakh. Previous Is Tata Motors Working On A Hybrid Version Of The Nexon?